The buzz around the royal wedding is in full force, with traditional and social media outlets around the world writing, posting, blogging and tweeting all the latest news about William and Kate. We wanted to see exactly what the coverage looks like, so our Media Consultants used Dow Jones Insight to take an in-depth look into the media around the prestigious event. 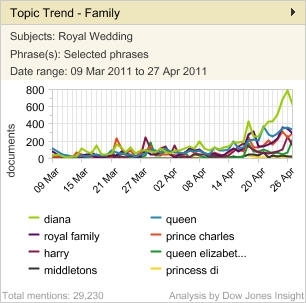 Click here to read the Official Royal Wedding Report: Part One brought to you by Dow Jones Insight. 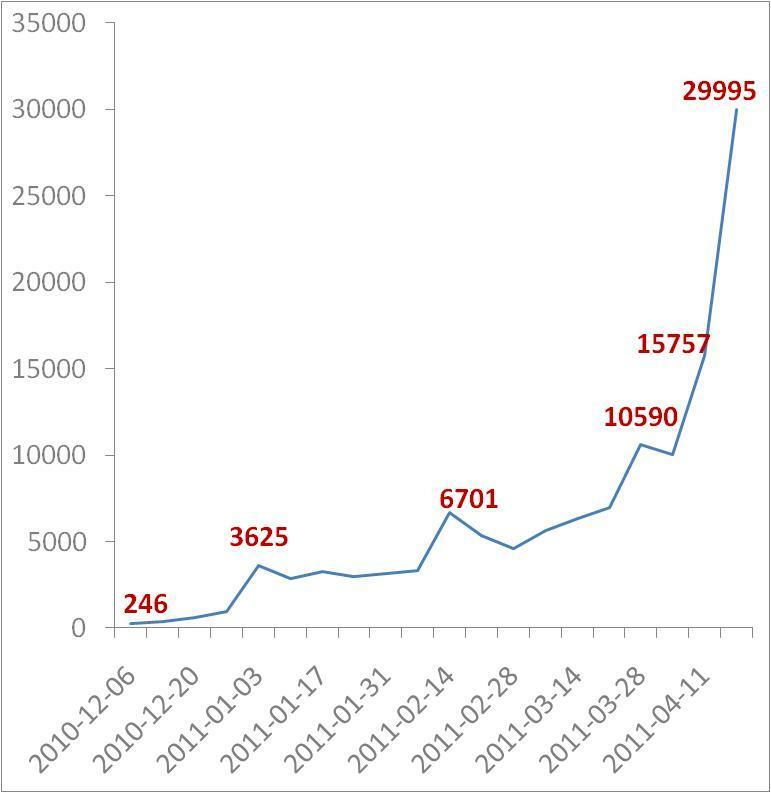 For a quick view, we put together some interesting charts for our loyal readers below. Be sure to circle back post-wedding for Part Two to see what captured the most interest during the wedding and what issues pop up next for the royal couple. Thoughts focus on the royal family and attendees, and where to tune in for coverage on the wedding. While the media has steadily reported on the royal family over the last several weeks, the absence of Princess Diana has clearly attracted increased attention and will likely continue to be an overwhelming topic post-wedding as comparisons of Kate’s future to Diana’s past will be on the minds of many observers. 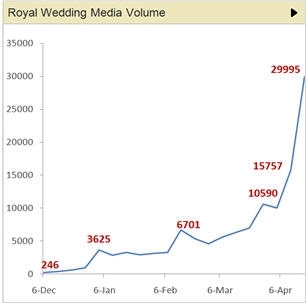 Mentions of YouTube as it relates to the royal wedding jumped nearly 1200% in a week, with reports on the BBC providing a feed of the wedding on YouTube, and T-Mobile’s royal wedding spoof ad going viral. YouTube, Facebook and CNN were also among the most active topics to pop up in the last week as reports provided updates on where to go for the latest wedding information and day-of-the-event coverage. 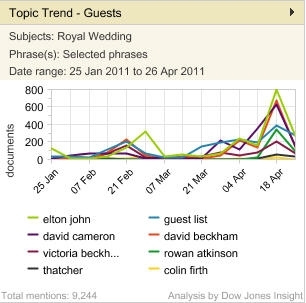 With the recent release of the guest list, scrutiny over the attendants and the absent gained traction, with Elton John and David Beckham generating 600% more coverage from the previous week, and Prime Minister David Cameron increasing by 76%. Rowan Atkinson was a surprise guest for many in the media, spiking up by over 1500%. In mid-March I attended the Social Media World Forum in London, Europe’s leading SM event. The organisers offered a variety of informative workshops that covered a number of topics including SM engagement and how to measure and evaluate ROI, direct marketing in SM, and SM tools. SM agency Yomego presented their SM Reputation Index based on 4 metrics (noise, noise recency (takes into account how recent were the entries), sentiment and sentiment recency). Four scores are calculated for each entry on the blog or forum, and then aggregated to provide a total score (out of 100). The audience enjoyed guessing the scores for the leaders of the British parties just ahead of the general elections. Though some guesses were quite close, no one predicted that leader of the Liberal Democrats Nick Clegg would come first, as David Cameron fell behind because of “recency of noise” component and Gordon Brown was let down by the “sentiment”. 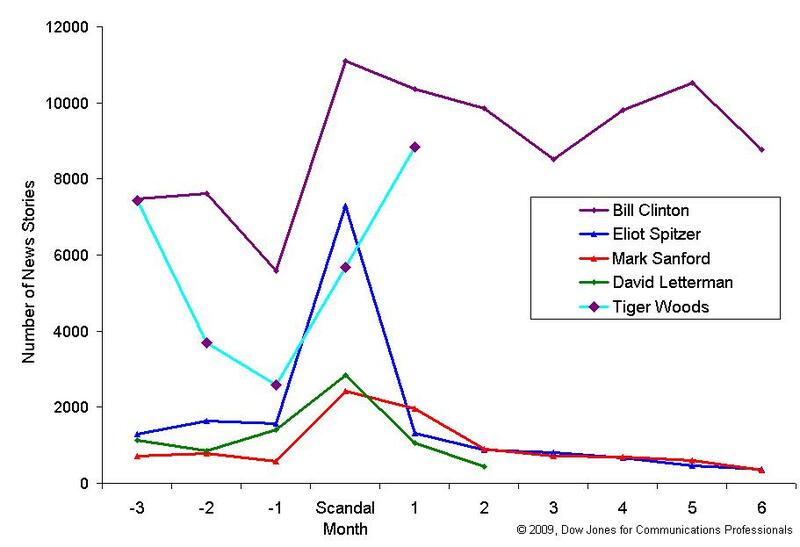 At Dow Jones, we also recommend looking at various metrics to determine what’s really being said in the news. 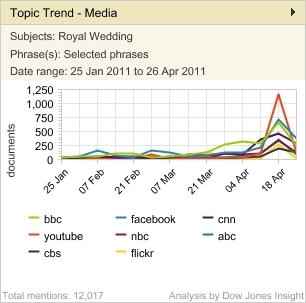 The chart below compares overall media mentions of the three candidates in the news, against the topics of discussions. 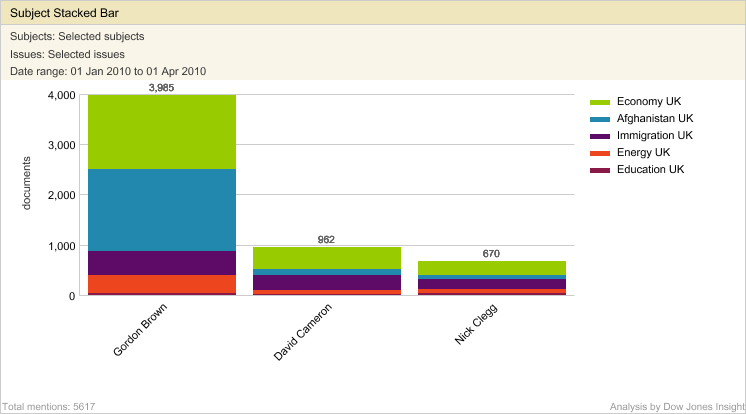 As you can see, while Gordon Brown clearly led in terms of overall coverage, this lead was driven largely by two issues: the economy, and Afghanistan. On other issues like immigration, the debate has been more evenly matched. Another interesting idea was presented by OOYALA, the company that is pioneering video in SM. They offered viewers of Tony Blair’s Iraq enquiry on telegraph.co.uk an option to show whether they trusted what Blair said by moving the cursor from very positive to very negative. Later they used the scores to analyse people’s attitudes and perceptions. The speakers agreed that there were no universal metrics for the social media, and companies need to have a clear understanding of what they aim to achieve by measuring SM presence. There are still many problems facing SM measurement specialists: inefficiency, governance (correct content, location and time) and analytics (difficulty in measurement against company goals). Automated favourability error could be as high as 35%. Therefore, it is really important to determine the strategy for SM engagement and ways to be transparent, monitor, listen and respond. Elena Sokolova is a Media Consultant with Dow Jones, based in London, UK. For Social Media, it’s all about Facebook – or is it? Or: You can’t outsource your communications strategy! Lately studies showed that Facebook (FB) is now the world’s largest Social Media network – so an easy decision on where to put your resources and start your organization’s Social Media initiatives? Well, many of those articles announcing FB as the winner only looked at a handful of ‘global’ networks (e.g. Myspace, Friendster). So yes, in absolute terms, FB is bigger than the likes of MySpace. But does that actually matter? Maybe – because it is easy to focus on simply one platform or network to effectively use your resources to achieve your communications or outreach objectives. Talking about this: if your target market is Korea, maybe you should rather look at Cyworld; for China – don’t ignore Xiaonei/Renen, Kaixin or 51.com; in Japan, better consider Mixi (sidenote: did you know that over 50% of users access the service via mobile devices? )… Or if Twitter is the buzz you want to follow – have you considered that in China alone there are four very popular local Twitter-like services (some would call them ‘clones’)? While there is actually some consolidation going on, Social Media is by definition actually a very native language driven affair. Chinese is currently the 2nd most popular internet language. If you consider the relatively low level of internet penetration in China today – then Chinese can actually be expected to become the number one online language within the next months or latest years in terms of pure volume of virtual communication (e.g. through messengers) or content (e.g. blogs, forums). Looking just at these few indicators, it is quite obvious that there is unfortunately no one-dimensional answer when it comes to which social media channels would be the best for your organization’s engagement plan. Very old-school like, it goes back to the drawing-board to ask yourself: what are your objectives, your target audience and your resources before blindly jumping on the Social Media wagon. Of course it is important to outsource parts of your tactics and advice – and leverage others’ expertise and experience. But still every organization’s chief communicator has to decide on the direction – both for online and offline. For that, decision makers need to build inhouse capabilities – because you can’t outsource strategy!